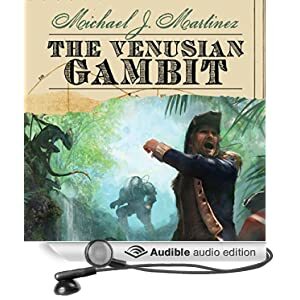 Once again, my thanks to everyone who’s been reading and enjoying The Venusian Gambit. I’m really heartened at how well it’s been received, and appreciate everyone who’s taken the time to leave reviews on Amazon, B&N, Goodreads, etc. Those things help. Just as a reminder, the Audible audio release of the final Daedalus novel is coming on June 23 — one week from today. You can pre-order it now and get it all set up in your queue. I’m really glad we kept the narrators on for all three books; they’ve done a really fantastic job. And one more book note: The folks at SFCrowsnest reviewed the latest issue of Apex Magazine, featuring an excerpt of Gambit, which prompted the reviewer to get the first two books in the trilogy. Job well done, there! Otherwise, I’m here plugging away. I have some vacation coming up at the end of the month after the Vermont SF Writer’s Series, and I’m working on the Next Thing, which you may hear about later this summer. My Pathfinder serial should be gearing up in a few weeks, and Cthulhu Fhtagn! comes out in August with my short story therein. Long story short, things are pretty darn good.